We celebrated our son Adam’s birthday last weekend. Doesn’t it seem like we are always celebrating somebody’s birthday. It seems like I have made that comment a lot on this blog. I guess it happens when you have a large family. My family is big in celebrating all occasions – birthday’s, anniversaries, holidays… We get it from my mom. For example my younger brother Mark’s birthday is the day after mine. When we were kids my mom would make me a birthday cake and celebrate my birthday then the next day she would bake another cake and we would celebrate Mark’s birthday. Never once did we celebrate our birthdays on the same day. As a kid I never thought anything of it, but as an adult I think how wonderful she was to do that for us. It made us both feel special on our day. With that being said we have carried on the tradition of celebrating birthdays with our kids. I like to make a special meal for them for their birthday and the dessert of their choice. With Adam I knew what dessert he would be requesting even before I asked him the question. It is the same year after year. He loves this chocolate eclair cake and it is perfectly fine with me. It is super easy to make and the results are quite tasty. You can make it the day before; actually it is better if you make it the day before, so that is one more nice thing about it. If you are looking for a simple delicious dessert give it a try. You may have someone asking you to make it for their birthday year after year. Enjoy!! 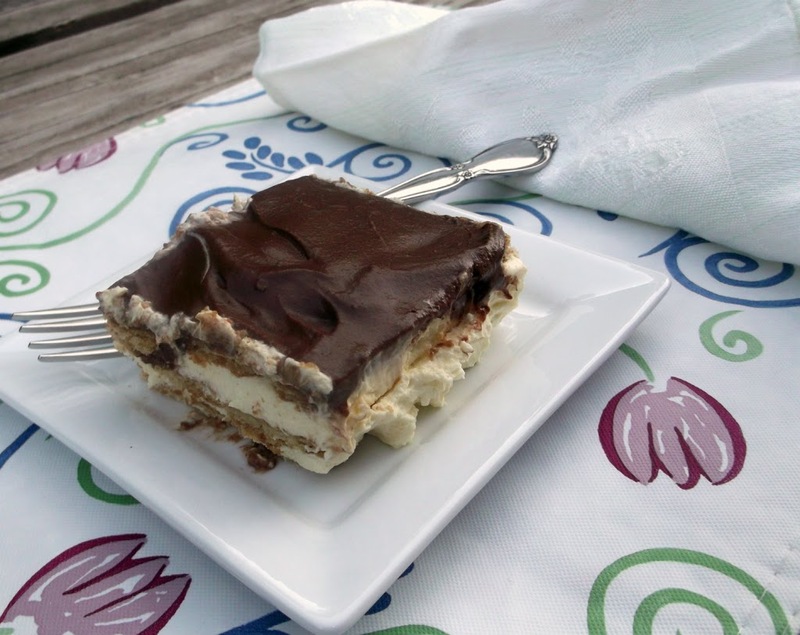 Chocolate Eclair Cake (Not sure where this recipe came from). Beat milk and pudding till thick; add the Cool Whip and beat until blended. Once the pudding mixture is mixed take a 9×13 inch baking pan and line the bottom of the pan with graham crackers. Spread with 1/2 of the pudding mixture and top of this place another layer of graham crackers. Add the rest of the pudding and top this with a third layer of graham crackers. Set this aside for a bit while you make the frosting. 2 packages of baking chocolate (I use cocoa instead 5 to 6 tablespoon). Put all ingredients and mix until all is blend and smooth. 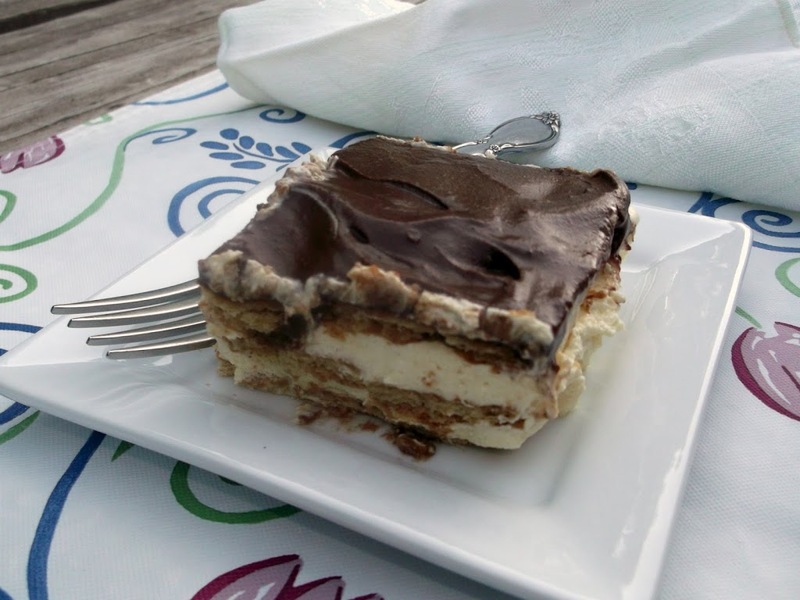 Frost your chocolate eclair cake place in refrigerator and chill for 24 hours. Yum! Need to try this one. Who doesn’t like chocolate eclairs! I think I’d pick this for my birthday dessert too! It looks wonderful. May is full of birthdays in my family–and lots of celebrating. 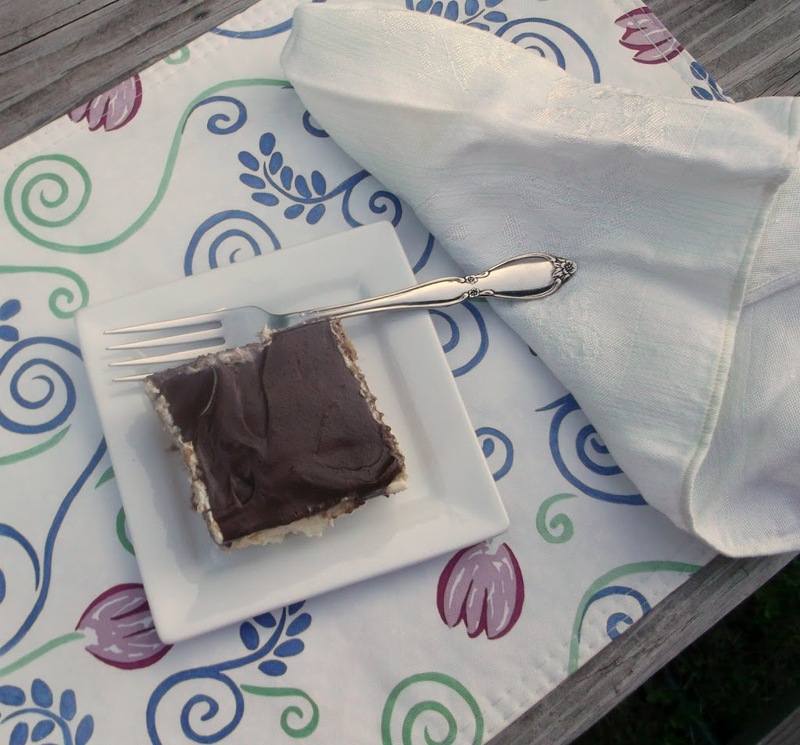 I love the idea of an eclair cake! Sounds delightful. This is so decadent and delicious looking! I think I need this in my life.